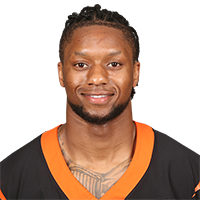 Pick Analysis: Over the past three years, Mixon's off-field issues have overshadowed his on-field accomplishments. Named the No. 1 running back recruit in the country by some services, Mixon expected to make an instant impact. He ran afoul of the law in July 2014, however, by punching a female student after she shoved him. Mixon was suspended for the season, and more than two years later video of the incident was released, forcing him to publically apologize. Mixon was also suspended for one game this fall for disrespecting a parking attendant after receiving a ticket. He did receive first-team All-Big 12 honors for his on-field play, rushing for 1,274 yards, averaging nearly seven yards per rush with 10 touchdowns. He also ranked in the top five nationally with 194 all-purpose yards per game (37-538, 5 TDs receiving; 494 yards, TD on kick returns). In 2015, Mixon came on the scene as a rusher (753 yards, seven TD) and receiver (28-356, four TDs). Published: April 28, 2017 at 08:38 p.m. Pro Football Hall of Famer Anthony Munoz announces the Bengals' selection of Ohio State running back Joe Mixon in Round 2 with the No. 48 overall pick in the 2017 NFL Draft. Published: April 28, 2017 at 08:43 p.m.
NFL Media?s Bucky Brooks, Matt Money, and Lance Zierlein give Joe Mixon a B+ draft grade.